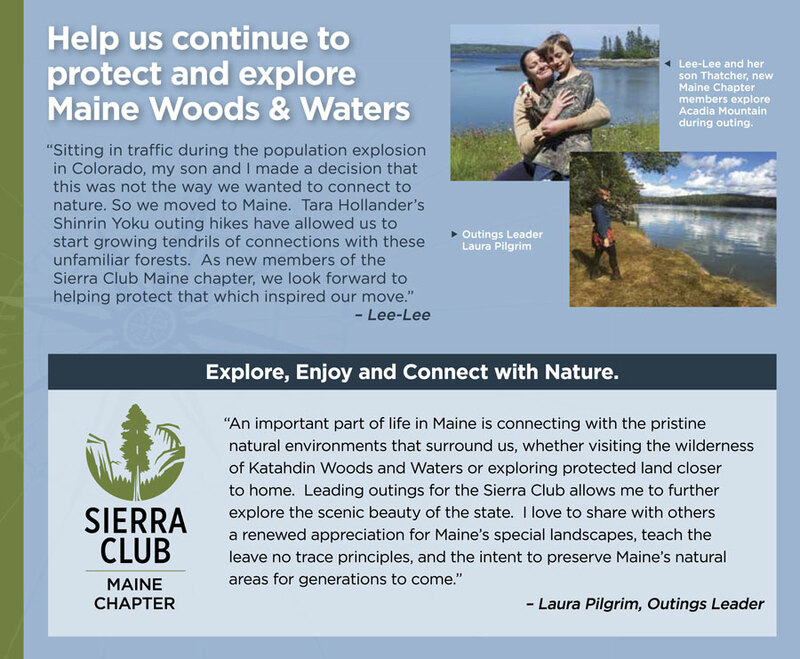 Context: Sierra Club Maine set the intention to increase engagement and donations from an upcoming fundraising letter. The appeal letter would target current or recently lapsed club members. 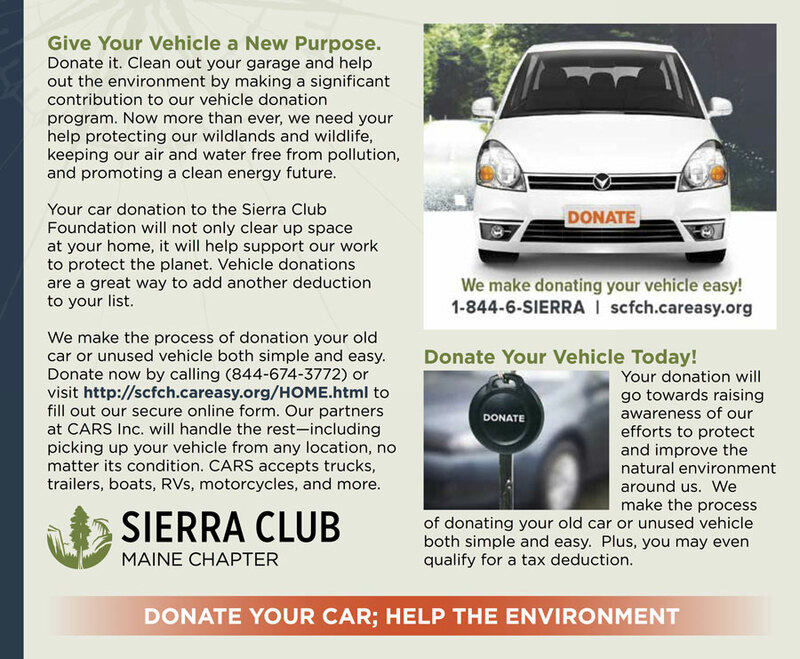 We invited donations of a vehicle as an in-kind donation to the Chapter. This added insert created a successful March appeal, and helped support an increase in funds raised over previous fundraising appeals. Who & When: Executive committee leadership asked me to create the fundraising letter insert. I worked with new members of the Club, both young individuals and a family to invite their collaboration by providing photos and a statement about why they joined the Club. I also collaborated with members of the design and marketing team of Cars, Inc., to get permission for and custom creation of images for use in the insert. Project was initiated, revised, approved and completed in January 2017. What & How: Copy drafted and edited with input from collaborators. Asked and received quotes and photos from new members. Balanced meaningful headlines with engaging content. Finalized amount out text, visual images and white space.